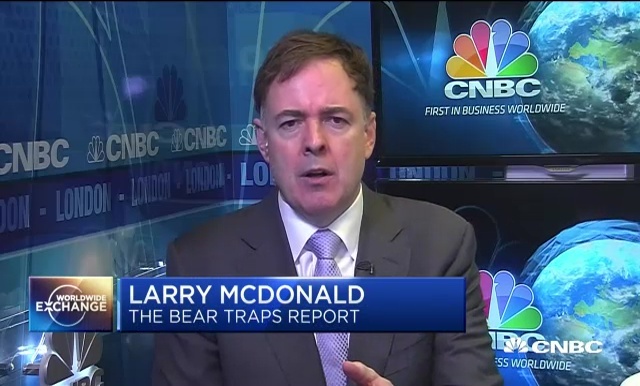 Craig Johnson of Piper Jaffray and Larry McDonald with the Bear Traps Report discuss the Dow with Courtney Reagan. 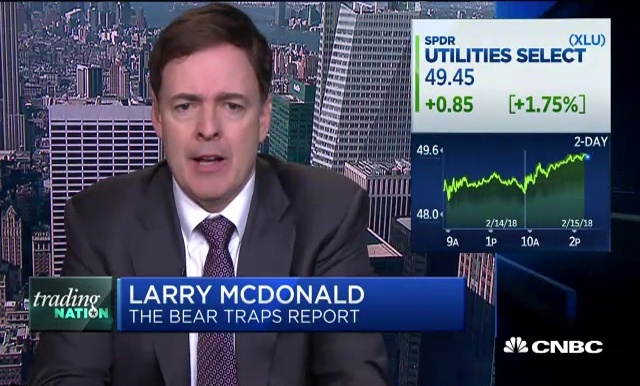 Boris Schlossberg of BK Asset Management and Larry McDonald with the Bear Traps Report discuss the utilities and consumer staples sectors with Dominic Chu. 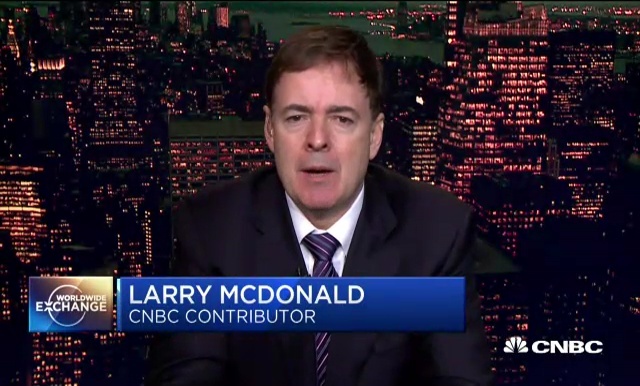 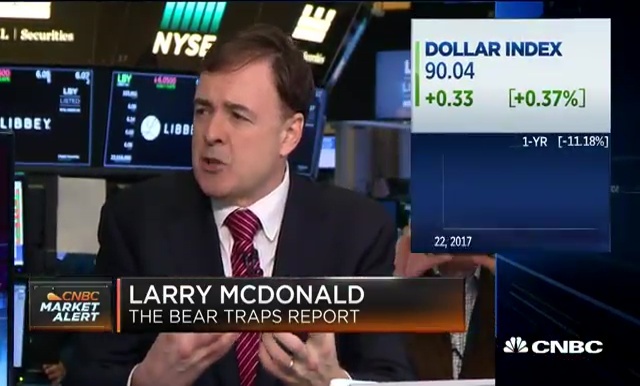 “Fast Money” trader Guy Adami and Larry McDonald, Bear Traps Report, discuss commodities as short-term investing opportunities. 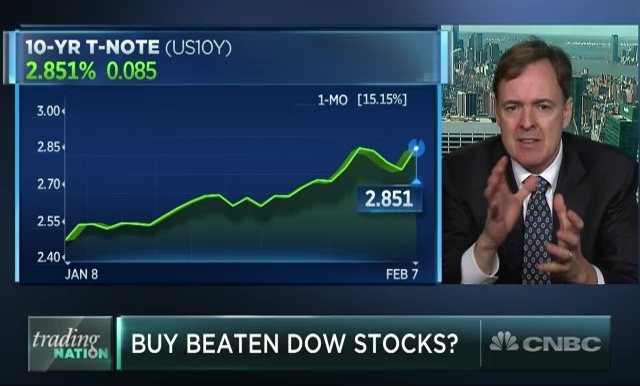 Matt Maley of Miller Tabak and Larry McDonald of the Bear Traps Report discuss Dow components in correction territory with Courtney Reagan. 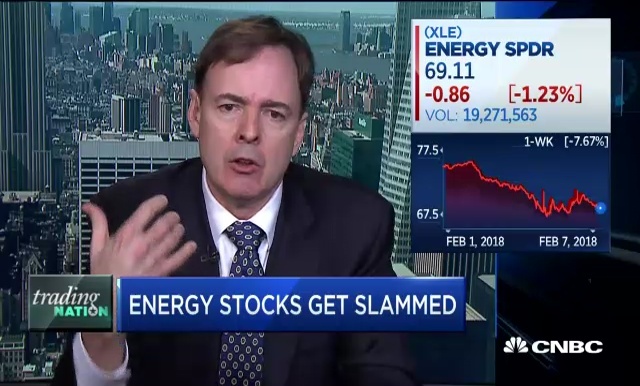 Matt Maley, Miller Tabak, and Larry McDonald, Bear Traps Report, discuss the effect of oil production jumps on energy stocks with Brian Sullivan. 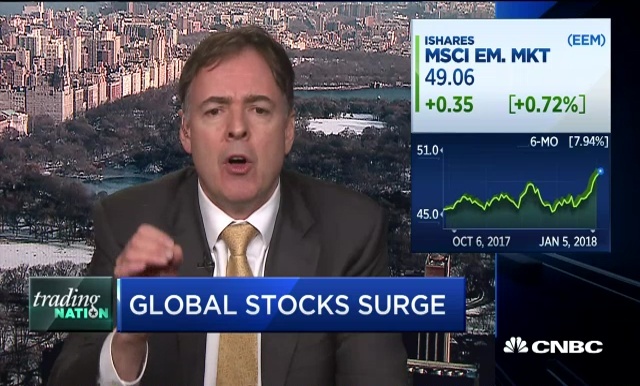 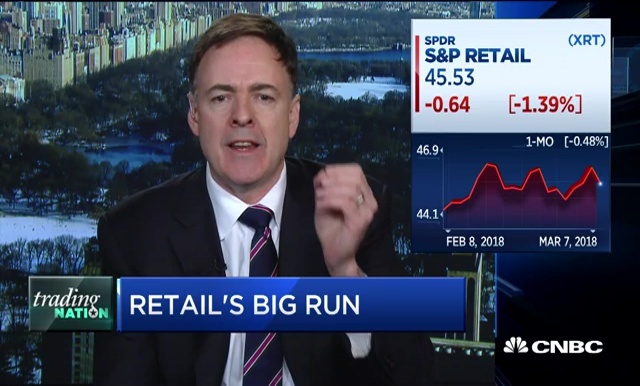 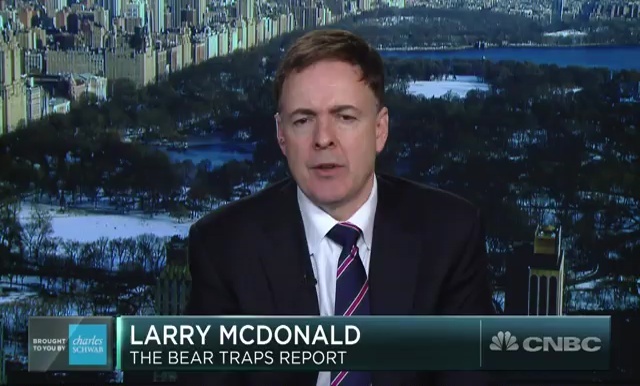 Larry McDonald of THE BEAR TRAPS REPORT says credit quality globally is the weakest in decades, and we could see bonds threaten equities this year. 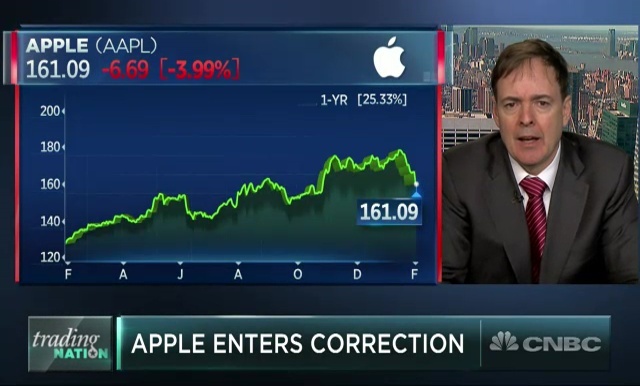 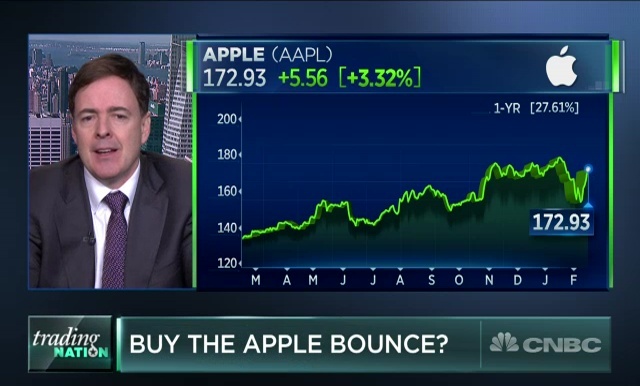 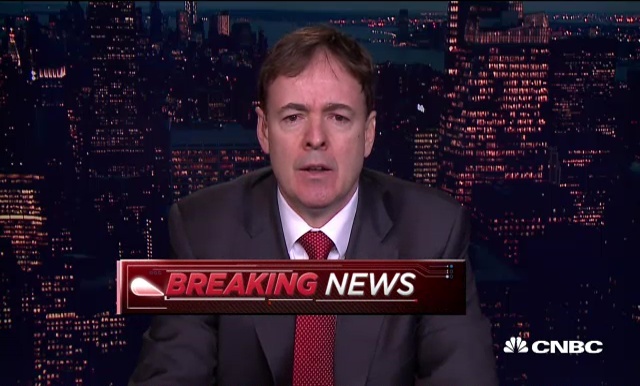 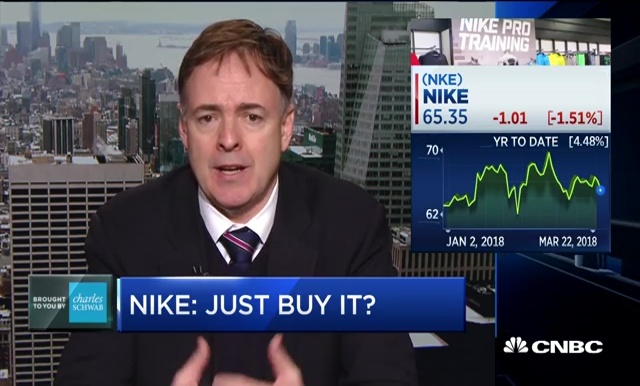 Larry McDonald of The Bear Traps Report and David Seaburg of Cowen tell CNBC’s Eric Chemi whether they’d buy Apple. 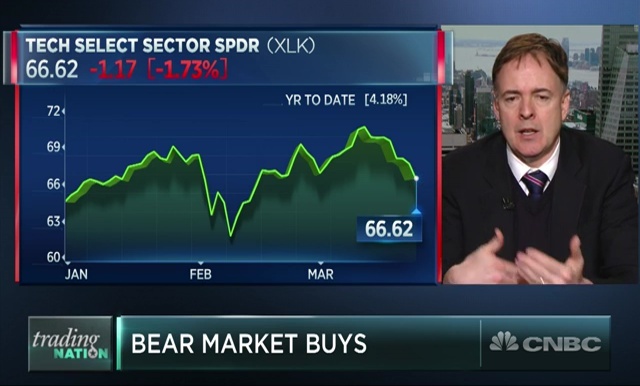 David Seaburg, Cowen, and Larry McDonald, Bear Traps Report, discuss investor sentiment in today’s market sell-off and what’s happening in bond yields. 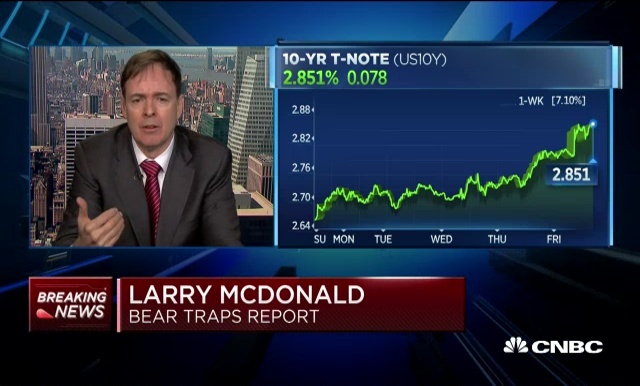 Larry McDonald of THE BEAR TRAPS REPORT and ACG Analytics takes a deep dive into global yields.